(Bloomberg) -- A day after a massive fire ravaged the Notre-Dame Cathedral in central Paris, investigators are focusing on areas around its roof as they seek to find out how the blaze started. As they sift through the rubble, Paris prosecutors, who have started a probe, have all but written off foul play. “Nothing suggests there could be any other cause than an accidental cause,” French Interior Minister Christophe Castaner said Tuesday. The fire started on the roof, which was partly covered with scaffolding because restoration work was underway. 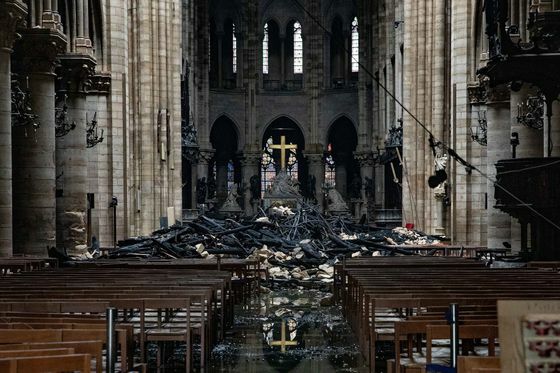 The blaze quickly consumed the cathedral’s massive 13th-century wooden beams and threatened to take down the entire structure. Before the disaster, four small and mostly family-operated companies had won contracts to carry out work on the upper parts of the cathedral’s spire, according to the Paris region’s tender website. Julien Le Bras, a representative of roofing and scaffolding specialist Le Bras Freres, said 12 employees from the company were working at the site on Monday and all had left before the fire started just before 7 pm local time. The firm is cooperating with the investigation, he said. 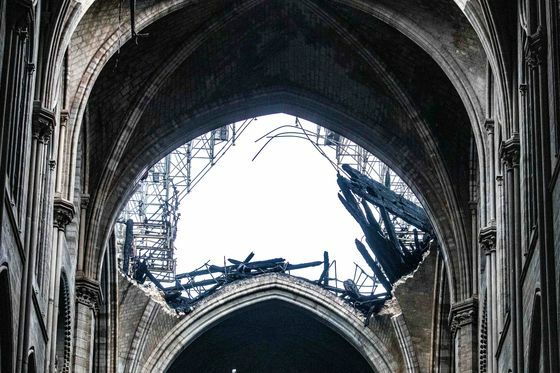 The restoration project under way had a budget of about 150 million euros ($169 million), Michel Picaud of the fund-raising group, the Friends of Notre-Dame de Paris, said in an interview on TV. That may need to be tripled after the fire, he said. A call for donations from French President Emmanuel Macron on Monday has already raised more than 600 million euros ($678 million), with France’s luxury tycoons among the biggest donors. 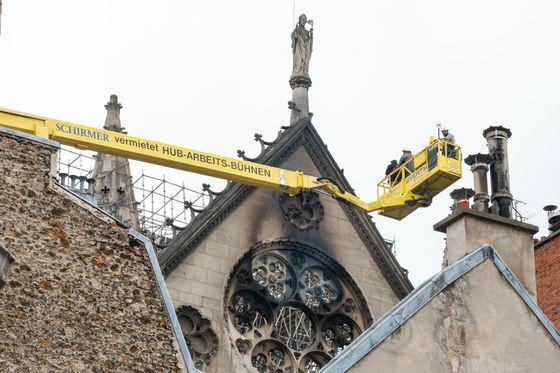 Pro Tech Foudre had not yet started its latest contract, but had worked for three months on Notre Dame about seven years ago, according to Anthony Dupuy, one of the founders of the lightening-rod specialist. During that job, workers weren’t allowed to use electric tools near the supporting wooden beams. “The fire protection measures were draconian,” he said, adding that gas-fired equipment had to be brought down every evening and any extension cords unplugged. “Accidents happen,” he said, while speculating about what may have triggered the blaze. “What is most likely is that it was a tool, a short-circuit,” he said. Dupuy plans to apply for a new contract to help restore Notre Dame after the blaze, especially since the lightening strike prevention now needs to be overhauled on what is left of the structure. The two remaining tours now present different risks, he said.